We are talking with Greg Landis, CEO of JaguarPC - one of the world's most trusted and experienced hosting companies. HOSTSEARCH: Greg, thank you very much for giving us an opportunity to talk with you today. Can you please tell us briefly about your background? GREG LANDIS: Thanks, I'm glad to be here. I was a military child all my life and went into service for the Air Force after highschool. I went from building munitions to managing them, their systems, and ran control in evenings. This helped turn me into a night owl and take my hobby of pc's into system development and admiration on a professional level. Of course the leadership classes in the military were very beneficial. HOSTSEARCH: Can you please tell us how you established JaguarPC? 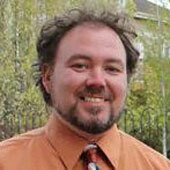 GREG LANDIS: I started Jaguarpc in Alaska in 1998 while serving active duty in the Air Force.. The first few years you pretty don't sleep and of course I couldn't afford to pay myself. Eventually we found our niche with developers, resellers, and other businesses that put support and service above the commodities of hosting. Jaguarpc was taking off just as my enlistment was expiring. HOSTSEARCH: Congratulations on your "Celebrating 15 years in hosting", JaguarPC has been in the business for over 10 years now. What are your company strengths? GREG LANDIS: I know its cliché, but its our people. I have been really blessed by being surrounded by smart people that make my job easier. Everyone watches out for one another like a family and we operate that way as well. Of course at this size and age we also have some great history, experience, and economies of scale really kicking in. We can take something that's being used and ask clients how they are using, instead of why. What we do best is we innovate. HOSTSEARCH: Could you give us an overview of JaguarPC's services? GREG LANDIS: While our roots start with web hosting our services are best described as managed I.T. service using IaaS. We provide an easy way for clients to start where their needs are and easily scale with their needs, demands, and applications. Our business hosting and resellers offers combine great stability and value in with ease of use. Our vps hosting and cloud servers are a fantastic bridge between small websites and large applications. 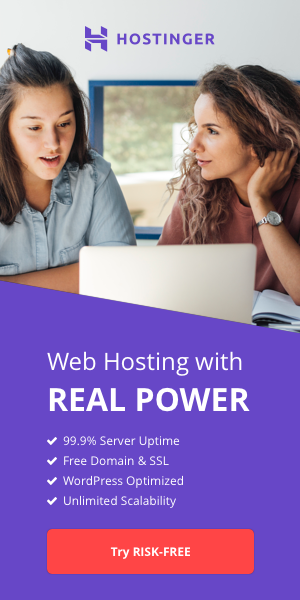 We are also a very competitive backup solutions provider to not just other webhosts, servers, datacenters, but also households and offices countrywide. HOSTSEARCH: What kinds of customers are you targeting with the Green Dedicated Servers offerings? GREG LANDIS: Our clients are small business with many other webhosts and IT related companies that use our infrastructure. Our clients know a server from Jaguarpc is going to be taken care of by a family and treated like one. Our newest datacenter deploys custom designed air, power, and server setups. These machines are powerful, efficient, and affordable. HOSTSEARCH: Where is your data center located? GREG LANDIS: We have our largest cages in Atlanta, GA with other colo's in Las Angeles, Dallas, United Kingdom, and Colorado Springs, CO.
HOSTSEARCH: As the CEO of JaguarPC, how do you see web hosting trend going? GREG LANDIS: There has been a lot of M&A activity for years and I expected that will continue and accelerate. It's funny, for most of Jaguarpc's time in business people would ask me what I do, and I would still have to followup with an explanation. I would give an analogy of virtual real estate of the internet, years later we call this IaaS. It's not that way anymore, most of the world is educated about the internet and businesses either know what it is, or at least they need it to be online. The industry will continue to grow in the managed IT, servers, backups. And Jaguarpc's personal consultancy for all our clients provides an edge to small private business like ours. As more businesses see the savings to be found in outsourcing your IT to Jaguarpc. 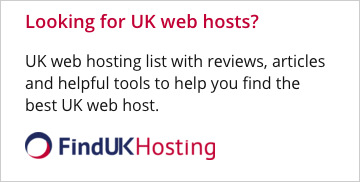 HOSTSEARCH: What technologies do you think has big impact on hosting industry today? GREG LANDIS: Software has had the biggest impact. From our early days when people hand crafted html pages. Software stacked on early hosting companies infrastructure took the internet from a static wasteland to this interactive, highly alive, by the minute place to be. That created a lot of demands first on bandwidth, then drive space, and that added up fast effecting energy, and out of each of these things new technologies evolved to keep pace. Virtualization and cloud services are the result so far of harnessing the synergy of all those demands. Those same technologies tie in well with the massive shift to mobilization today. GREG LANDIS: Thank you for the opportunity. If I can leave the up and coming entrepreneur's a word of advice. Don't reinvent the wheel and start with a solid foundation. You focus on your business, and rest at night, let us handle all the geeky stuff.